Those who were around during the original glory days of the internet and saw the boom and bust of the dotcom era have been known to maintain some (justified) skepticism of new trends and how long they’ll prevail in the age of a changing internet. This is why we often hear reservations expressed whenever the issue of mobile usage is mentioned; after all, why would someone want to use a smaller, less powerful alternative to access the web, shop and interact with the world? As it turns out, though, the age of mobile is already upon us, and a variety of metrics clearly demonstrate that this future is unavoidable. Whether you are a content marketer, blogger or engaged in the world of e-commerce, you’re sure to feel the effects that mobile is bringing to the world of search and of the web. We’ll discuss why mobile matters so much below, so that you can be aware of what’s changing. It used to be that changes to how desktop machines experienced the web ultimately made its way to the world of mobile, but we are now seeing the exact opposite occur. When pinging search engines with premium content, it is very important that you keep this in mind. One example: Google recently announced that major changes made to its desktop browsing and search algorithms were made – with the inspiration for such being brought over from existing mobile and tablet experiences. It appears that the world of mobile is now exerting influence on desktop and traditional search, rather than the other way around. A large reason for the shift in how mobile and desktop search functions is likely due to how the market itself is changing. Recent statistics that detail internet usage by continent and device show that mobile usage as a percentage of web usage increased from 14% to 25% in just one year. In Asia alone, this growth saw mobile share increase from 23% to 37%; in Africa, from 18% to 38%. Particularly as the developing world comes online (thanks in large part to inexpensive mobile devices), the way in which people digest information continues to change. As it stands right now, there is a good chance that at least 1 in 5 people who visit your website do so through a mobile phone or tablet. 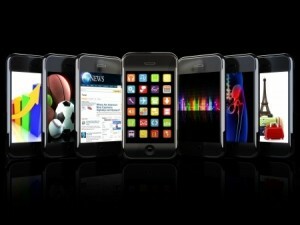 If you are not optimizing content and search for mobile devices, you could be missing out on tons of valuable traffic. A variety of studies have sought to understand just how much the world of search has changed in recent years – not from the perspective of what search engines do, but what searchers themselves are doing. The result shows that a vast majority of internet searches begin on mobile devices. Think about it: you may wind up pinging search engines on your desktop at home for a more thorough answer, but how many times have you used a mobile device to get a general idea about something first? Even though many do prefer a larger screen, a physical keyboard and faster internet speeds through traditional desktops and devices, mobile is a huge part of how we begin to look for information on Google and other search engines.